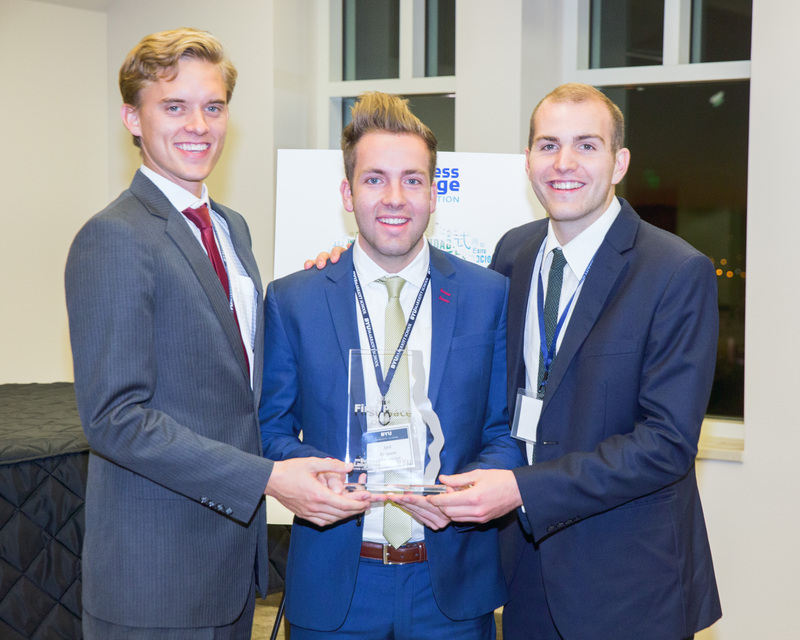 Chinese students Isaac Stevens, Seth Ferguson and Kindall Palmer prepared a simulation Chinese business case and won the Marriot School’s Business Language Case Competition. 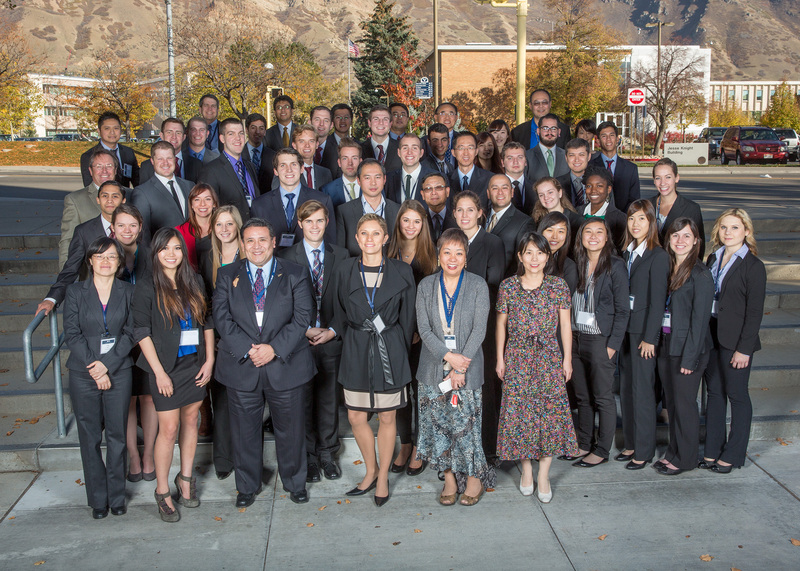 PROVO, Utah (January 14, 2015)— BYU’s Chinese team took home the first-place prize at the Business Language Case Competition hosted by the Marriot School of Management on November 7, 2014. Chinese students Isaac Stevens, Seth Ferguson and Kindall Palmer were chosen as BYU’s Chinese team representatives. BYU’s Chinese team has now won four years in a row. Teams representing four universities from coast to coast prepared cases and presentations to deliver at the Marriot School’s annual competition. The competition hosted students of Chinese and Spanish. The competition score is based two-thirds on the content and delivery of the case presentation. Language and grammar accounts for the remaining third of the team’s score. Each team gives their presentation three times to a different panel of judges, and three teams advance to a final round where they give their presentation a fourth and final time. Each round is fifteen minutes long, followed by a ten-minute question-and-answer session with the judge panel. During the preparatory weeks, team members are not allowed to consult with non-team members, including faculty, advisors, staff and fellow students. However, reference sources in the public domain, such as books, the university business library and the Internet are permitted. “Most of the preparation that helps you do well in the case competition comes from prior knowledge and experience,” said Ferguson. He said what helped him the most was the background provided by many Chinese classes, business classes and economics classes. Wang sees the competition as beneficial due to its hands-on nature. “In class they learn a lot of advanced level Chinese, but this kind of competition helps them see how they can apply the Chinese they’ve learned in a real case, in a real-world situation,” she said. The competition was a particularly meaningful preparation for students like Stevens, Ferguson and Palmer who are participating in the Chinese Flagship Program, which includes six months of direct enrollment in a Chinese university and six months of internship. For more information on the Business Language Competition, visit the Marriott School’s website. Learn more about the Chinese Flagship Program website and the Department of Asian and Near Eastern Languages website.